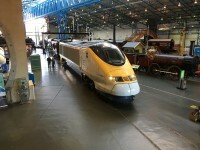 For a fantastic day out for the whole family in York, visit the award winning National Railway Museum. 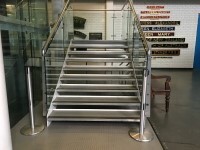 Get up close to over 300 years of fascinating history in York's only National Museum. 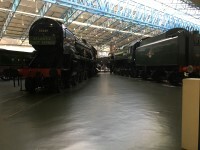 Explore our giant halls full of trains and railway legends including the majestic Duchess of Hamilton, step on to the futuristic Japanese Bullet Train or marvel at the stunning opulence of the Royal Trains. 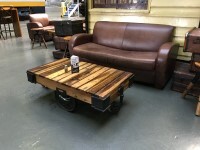 Get on board awe-inspiring locomotives, watch our engineers at work in the Workshop, uncover hidden treasures in the Warehouse and make tracks to the outdoor area. 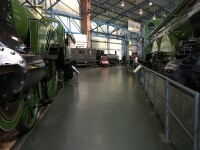 Related link National Railway Museum - Station Hall Side. You are on Opening Times (October - February). Skip to the next section. 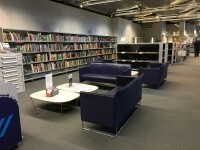 You are on Opening Times (March - September). Skip to the next section. 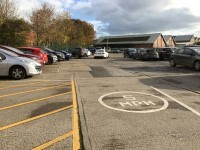 The car park is located on Leeman Road. The road is generally busy. 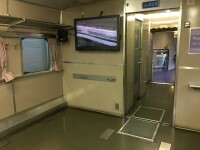 The width of the door opening is 146cm (4ft 9in). 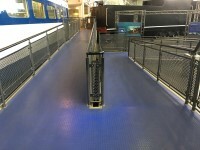 You are on Outside Access (Station Hall Subway Link Entrance). Skip to the next section. 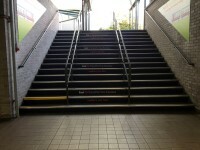 This information is for the entrance located at the rear of the building, at the Great Hall side of the Subway link. 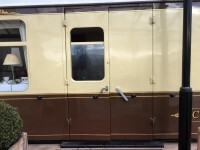 The width of the door opening is 171cm (5ft 7in). You are on Level Change (Station Hall Subway Link Entrance). Skip to the next section. 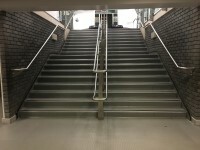 The step(s) is/are located leading from the subway to the entrance. You are on Lift (Station Hall Subway Link Entrance). Skip to the next section. 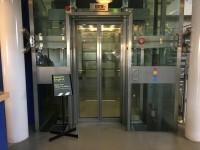 The lift is located opposite the city entrance reception desks on the right as you enter. 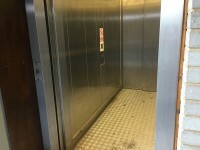 The lift is approximately 8m (8yd 2ft) from the Great Hall entrance. 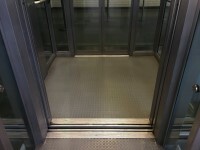 The dimensions of the lift are 110cm x 225cm (3ft 7in x 7ft 5in). 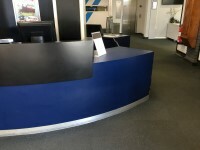 You are on Reception (Admissions Desk). Skip to the next section. 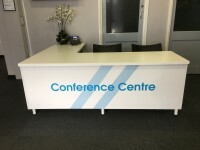 You are on Reception (Conference Centre). Skip to the next section. 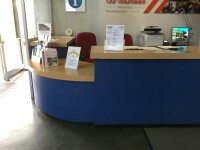 You are on Reception (Volunteer Information Desk). Skip to the next section. 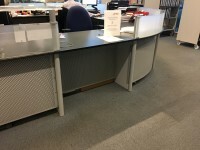 The desk/counter is 101m (110yd 1ft) from the main entrance. 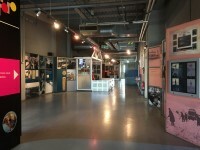 You are on Level Change (Museum). Skip to the next section. 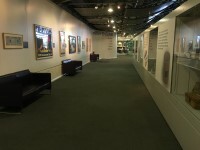 There are a variety of level changes throughout the museum. 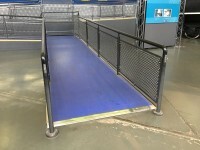 Some exhibits are accessed by ramps. 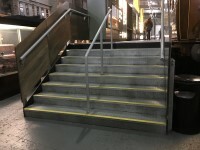 The ramps vary from easy to moderate. 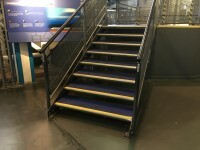 Some exhibits have veiwing platforms accessed by steps. 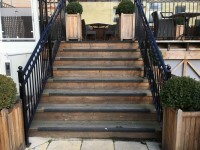 The steps are medium height, clearly marked, with handrails on both sides. 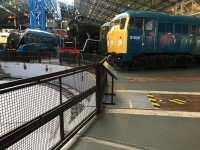 The photographs show the ramps to access Bullet (photographs 1 and 2), the Chinese train (photograph 3) and The Scotsman Story (photograph 4). 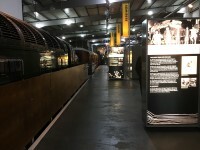 The photographs also show the steps to access Bullet (photograph 5), the Chinese train (photograph 6), Mallard (photograph 7) and The Scotsman Story (photograph 8). 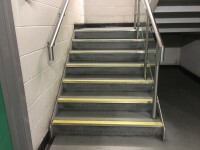 The number of steps varies from 4 to 14. 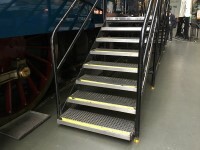 There are a number of different sets of stairs throughout the Great Hall and The Works. 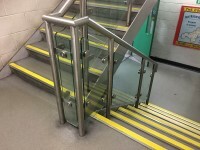 The stairs surveyed are located beyond the foyer, leading to the Great Hall. 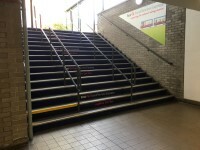 Photographs 4 and 5 show the stairs from The Scotsman Story to The Works. 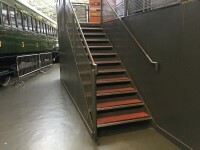 Photograph 6 shows the stairs adjacent to Mallard Cafe leading from the Great Hall to The Works. Photographs 7 and 8 show the photographs adjacent to the volunteer information desk leading from the Great Hall to Search Engine. You are on Lift (Foyer). Skip to the next section. 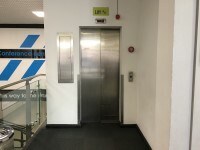 The lift is located at the rear right of the foyer as you enter the building. 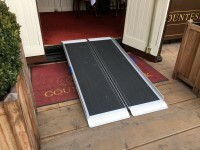 To borrow the wheelchair, ask a member of staff. 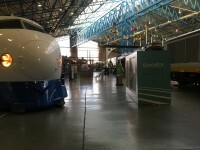 There are some interactive and video exhibits in the Great Hall. The height to the top of the video screens is 152cm. The height to the controls is 76cm. 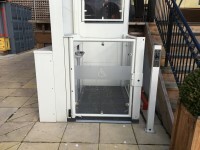 The height to the interactives is 72cm. 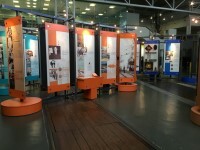 There are information boards for the exhibits. 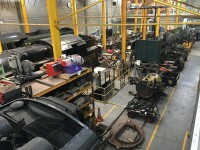 There is a viewing area over The Works which allows visitors to watch engines being refurbished. 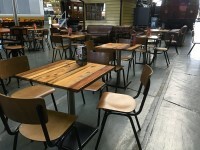 You are on Eating and Drinking (Mallard Cafe). Skip to the next section. 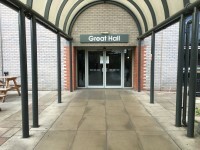 The cafe is located to the rear left of the Great Hall as you enter from the main entrance. 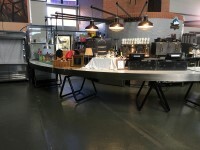 The nearest table is approximately 82m (89yd 2ft) from the main entrance. 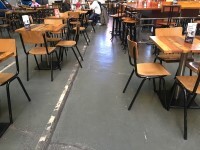 The distance between the floor and the lowest table is 100cm (3ft 3in). 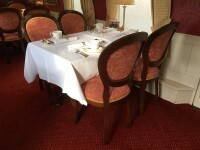 The distance between the floor and the highest table is 43cm (1ft 5in). 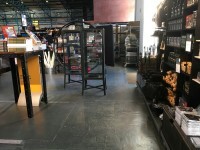 You are on Counter (Gift Shop). Skip to the next section. 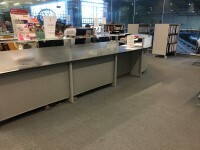 The counter is 101m (110yd 1ft) from the main entrance. 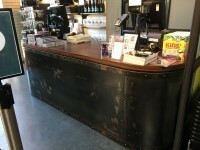 There is level access to the counter from the entrance. 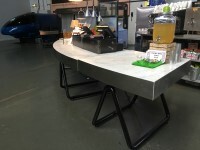 The height of the counter is 87cm (2ft 10in). 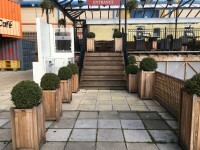 You are on Outside Access (Countess of York Entrance). Skip to the next section. 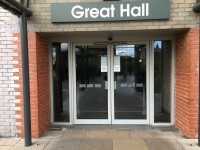 This information is for the entrance located in the patio at the rear of the Great Hall. 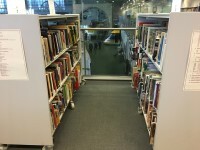 The width of the door opening is 102cm (3ft 4in). 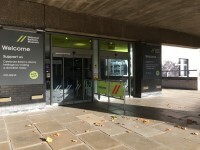 You are on Level Change (Countess of York Entrance). Skip to the next section. 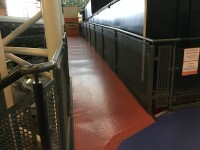 The ramp/slope is located in front of the second door. 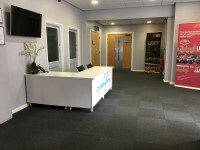 Please contact a member of staff. 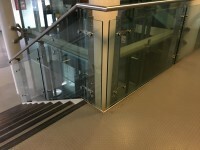 The width of the ramp/slope is 80cm (2ft 7in). 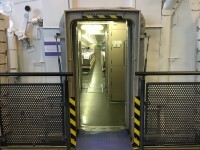 There is also 1 deep step in the second door way, which is overcome by the ramp. 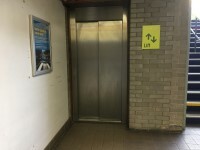 You are on Lift (Countess of York Entrance). Skip to the next section. 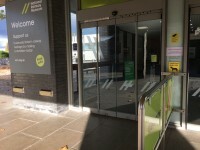 The lift is located in front of the entrance. 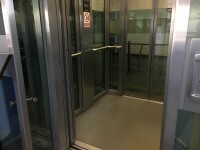 The clear door width is 84cm (2ft 9in). 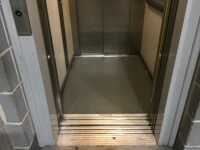 The dimensions of the lift are 90cm x 135cm (2ft 11in x 4ft 5in). You are on Eating and Drinking (Countess of York). Skip to the next section. 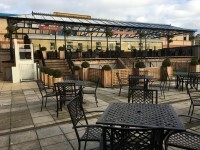 The restaurant is located on the patio at the rear of the Great Hall. 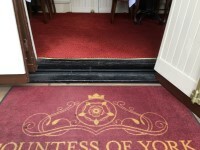 The nearest table is approximately 2m (2yd 7in) from the Countess of York Entrance. The type of food served here is afternoon teas. 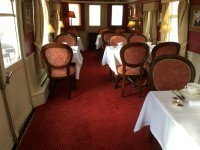 The restaurant is located in an old railway carriage. 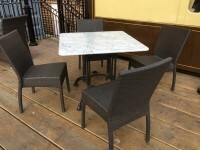 The restaurant can be hired for evening meals. 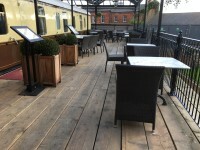 There are also external tables on the patio and platform. 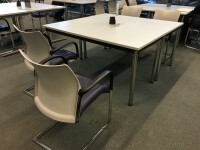 The height of the external tables is 74cm. 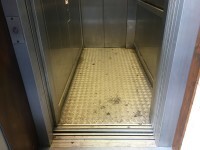 You are on Lift (The Works). Skip to the next section. 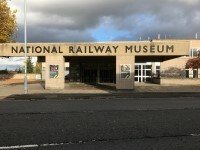 The lift is located at the rear left of the building, beyond the Scotsman Story. 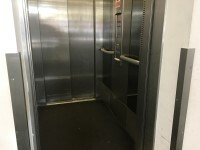 The lift is approximately 124m (135yd 1ft) from the main entrance. 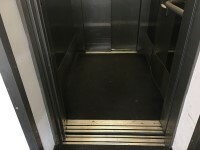 The dimensions of the lift are 111cm x 140cm (3ft 8in x 4ft 7in). You are on Lift (Search Engine). Skip to the next section. 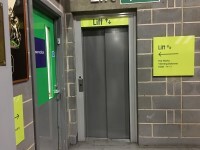 The lift is located to the rear right of the building as you enter from the main entrance. 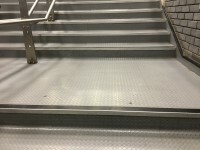 The lift is approximately 101m (110yd 1ft) from the main entrance. 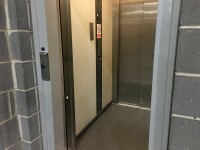 The dimensions of the lift are 157cm x 140cm (5ft 2in x 4ft 7in). 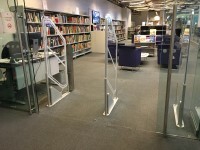 The lift is only operational when the library and archive is open. 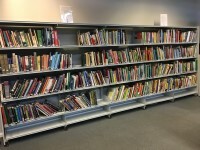 You are on Library (Search Engine). Skip to the next section. 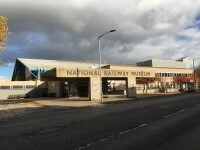 This is the NRM library and archive. 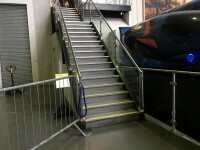 There are security barriers at the entrance. 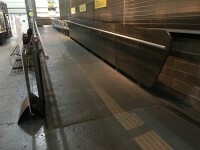 The width between the barriers is 100cm. 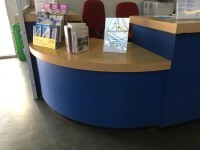 The height of the desks is 76cm. 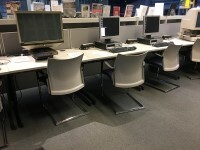 The height of the computer desks is 72cm. There are not height adjustable chairs. The height of the counter is high. 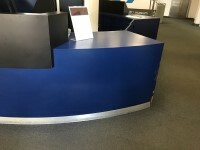 There is a low section of the counter. The counter is 45m from the Search Engine lift. 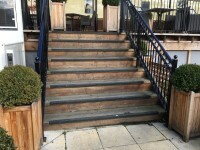 This accessible toilet is located to the rear left of the foyer. 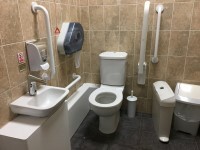 The dimensions of the accessible toilet are 143cm x 214cm (4ft 8in x 7ft). You are on Accessible Toilet (Great Hall). Skip to the next section. 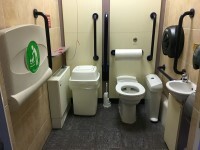 This accessible toilet is approximately 50m (54yd 2ft) from the main entrance. 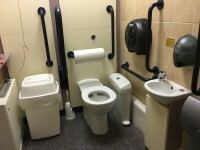 This accessible toilet is located on the right of the Great Hall as you enter. 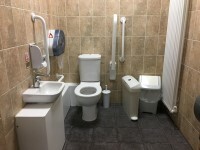 The dimensions of the accessible toilet are 130cm x 190cm (4ft 3in x 6ft 3in). 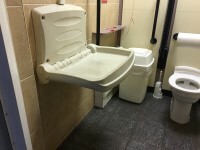 Baby change facilities are located within the accessible toilet cubicle. 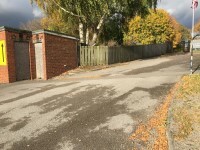 The female and male toilet facilities that were surveyed are located to the rear of the foyer. 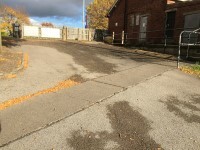 The female and male toilets are approximately 17m (18yd 1ft) from the main entrance. 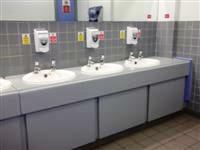 There are also standard toilets located within the Great Hall, The Works and Search Engine. 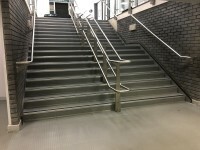 There is stepped access from York main line station to the Station Hall side. 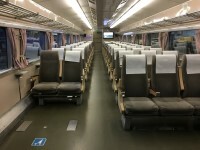 A wheelchair can be borrowed from the Station Hall side. 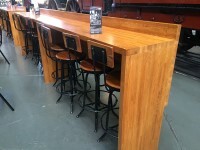 The venue can be hired for private functions. 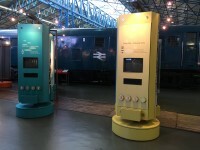 Sound guide is free to visually impaired people with instruction leaflet in large print, tactile and Braille. 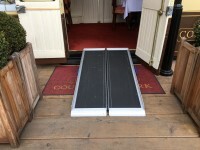 Electric and standard wheelchairs are available to loan free of charge. There are also 2 mobility scooters available to borrow. 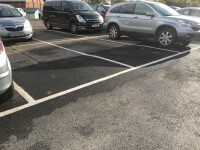 Additional services and special requirements can also be made available. This includes out of hours visiting and general help/assistance, please phone the venue in advance for more details.